Just like the rest of the fitness industry, school gyms are constantly changing. However, strict budgets, varying user ages and limited accessibility during term time can make it difficult to apply any changes needed to keep students and pupils engaged. In this article, we aim to provide you with the tools to help you set up or refurbish your school gym. Whether you are starting from scratch or are looking to make improvements to an existing facility, have a clear end result in mind. Having a clear vision will help you break up the project in to smaller, bite-sized pieces to keep it moving forward. What type of equipment does the school/university currently have? What size of space are you working with? What size budget do you have at your disposal? What type of training would you like to offer the students? What age range do the users fall in to, and will this impact the type of equipment you are looking to install? How many users does this space need to accommodate at once, and how often is it used? Answering these questions will allow you to create a realistic picture of your currently situation, from which you can map your route to your ideal end scenario. Critically assess the equipment currently available at the school. If existing equipment was purchased within the past three years, and has received regular service visits alongside routine maintenance, they will probably be good for another few years. (assuming the latest report provided by your service provider declares the equipment safe to use). Keep in mind that, the older motorised equipment gets, the more expensive it becomes to repair. Warranties run out, and crucial parts cost a lot of money to replace. So remember this when plotting the lifespan of the kit. Allow yourself to prioritize by determining which equipment definitely won't serve it's purpose for much longer, and start with replacing this. Depending on the style of school gym you're working towards, you might choose not to replace like-for-like. If keeping a treadmill is no longer an option, why not replace it with a curved self-powered alternative such as the SpeedFit Curved treadmill. If you have the space, you could even offer students a sprint track with a central turf for sled work. If you are setting up a new school gym from scratch, keeping existing equipment is obviously not an option for you. Instead, keep in mind the expected lifespan of any equipment you are considering. Students are not the most careful members in the world, so make sure you fill your space with durable equipment and arrange for regular service visits to keep it in top condition. Physical limitations will play a huge role in the development of your PE department. When sizing up your facility, don't just consider the width and length of the space, but height as well. Large amounts of schools are now choosing to include racks and rigs in their gym halls. This can support the increasing demand for weight lifting as part of a general PE curriculum. 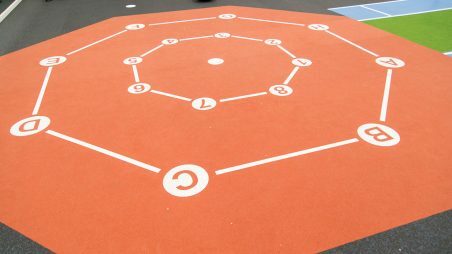 If you are working with a rectangular space, consider installing an astro-turf sprint track along the length of the room, or wall mounted suspension training systems that will offer students and pupils a great way to experience a variety of functional training methods. 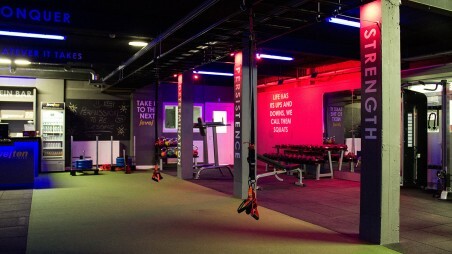 Should you be working with a generous space, we would recommend approaching the design and layout of the gym the same way a commercial fitness facility or leisure centre would. This means creating easily identifiable zones for each type of training. This immediately lends itself to the "bite-sized" refurbishment approach, as you can tackle the project one zone at a time. At Origin Fitness, we find that most education clients receive their funding from one of several sources, including Grants & Awards, councils, private funding or leasing. A key consideration for you will be staying within budget. Where we can help, is ensuring you maximise what you have available. If you are unsure on how to secure the budget you need for your school gym, suppliers can often provide guidance, helping you find the right funding or leasing provider for you. Once you know where your budget comes from, you’ll want to divide it into sections. Creating “bite-sized” refurbishment projects does not only give you a clearly structured plan – it can also help you when the financial year ends and your school’s budget experiences some underspend. Having several smaller projects in your back pocket, ready to action, may just give your proposal an edge over other departments looking to get their hands on any extra finances. Initially, most of your budget will be dedicated to the physical elements of your gym - meaning the equipment and flooring. After the physical elements of the gym have been established, you should shift your focus on to the other, less obvious but equally important, details such as training and maintenance. 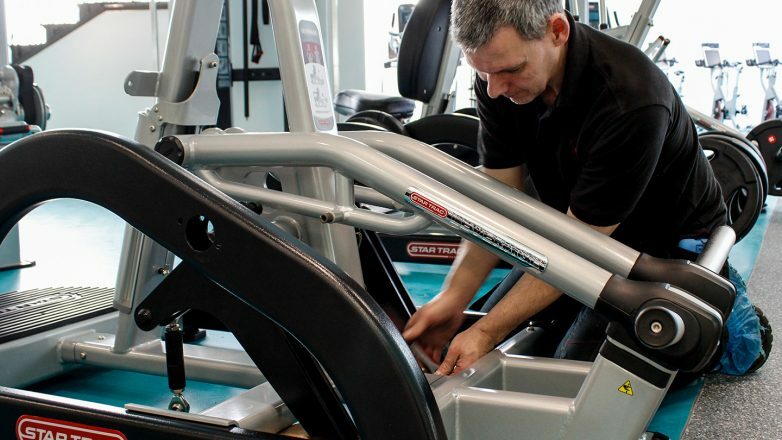 With school gyms it is particularly important to invest in the after care of your gym equipment. These spaces are used by young people, who frequently have a more reckless attitude towards the equipment they use. Making sure your equipment gets properly looked after is vital in this environment. Ask your equipment supplier about a preventitive maintenance contract, and make sure to schedule these visits well in advance. The summer holidays tend to be a popular season for school gyms to get their equipment serviced. You'll want to leave time between the service visit and pupils coming back, to allow for a return visit to take care of any urgent repairs. Budget planning does not only involve the yearly service and maintenance of the equipment. Training your staff and PE teachers to be qualified to use and teach on the new pieces in your gym is equally important. 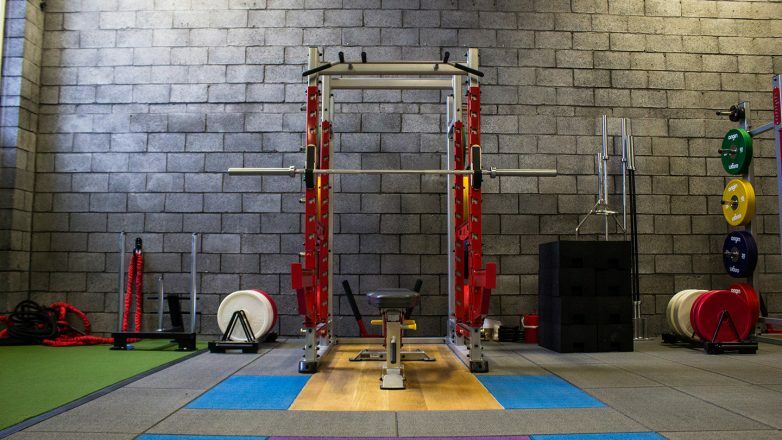 You may have chosen to create a functional training or weight lifting zone in your facility. Though students will love this type of training, (as it is as close to play as it is to exercise), both the students and the staff will need to be properly inducted. This is to make sure you can get the most out of this new equipment, while staying within the guidelines of health and safety. Education courses are available for nearly all training types, so it is worth setting budget aside to provide staff with initial training, as well as refresher sessions down the line. Check out our education page for more information on the type of courses that are on offer. 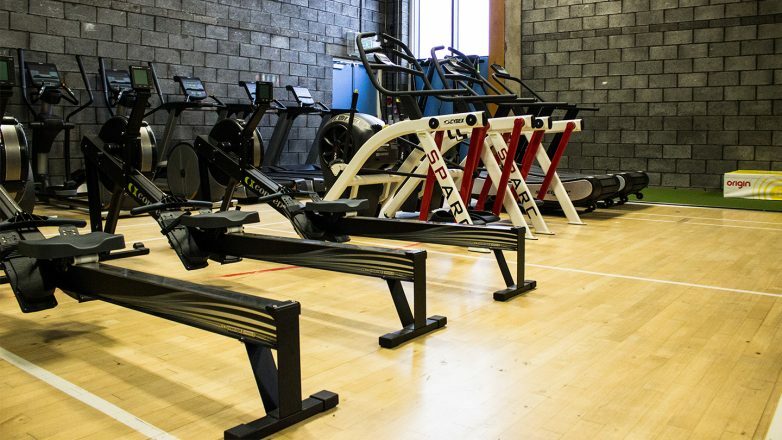 A truly exceptional school gym offers more than just great equipment - it's the entire package surrounding the exercises that will allow pupils to learn and enjoy their training. As training methods evolve, we see a general shift in the types of facilities we are asked to design. 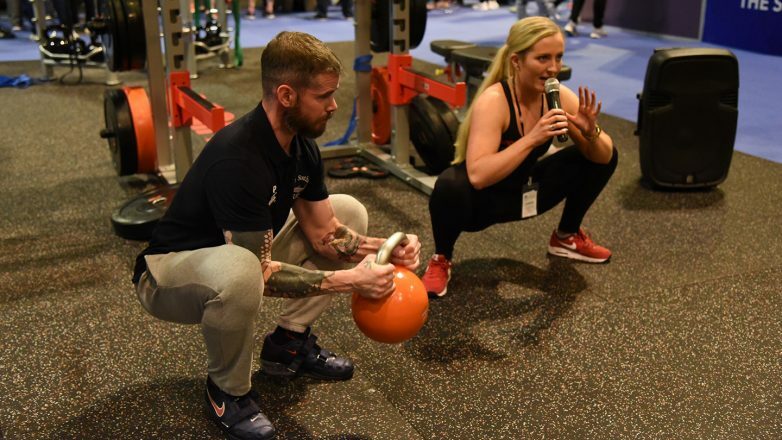 In the past few years, we have witnessed a large pull towards functional training style gyms, which are not only very flexible spaces but also incredibly budget friendly. 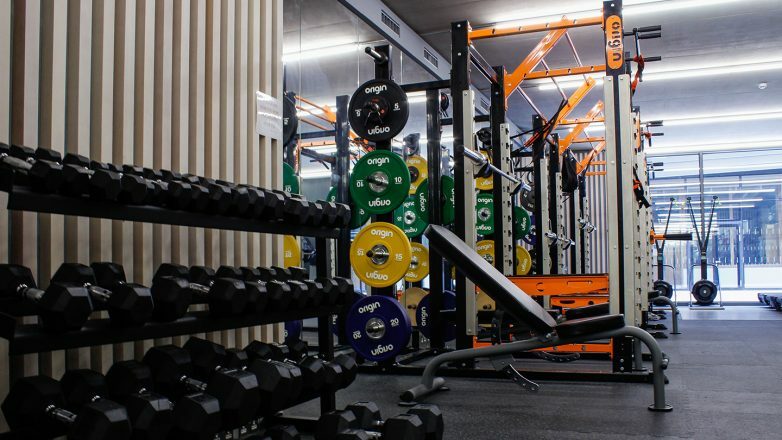 The education sector follows these same trends, meaning that we are seeing many schools and universities investing in more free weights, lifting racks, platforms, functional training rigs and accessories. This is not to say that there is no place for traditional fitness equipment. Due to age restrictions, large CV and fixed resistance can be a safer and more accessible alternative to the functional and free weight equivalents. Most commonly though, we find that due to the gradual nature of gym refurbishments in the education sector, fitness suites are often mixed, offering the best of both worlds. Though it is good to stay on trend and using the latest fitness techniques, always keep in mind the age ranges of the pupils. If you’ll be dealing with young children as well as near adults, make sure to include stretch areas and light weight accessories. Also remember to plan in sufficient storage solutions, so that you can create a safe and clutter free environment. Taking on a large project such as the establishment or refurbishment of a school gym is no small task. We hope that the points above have given you some actionable advice to start planning your fitness project. However, the best guidance comes from those who have done it before, which is why we would recommend you approach one of our experts to receive tailored advice on your unique project. Get in touch today. This entry was posted in Knowledge & Advice, Gym Owners Advice on 14th June, 2017 by Mike Scott.